The Beatles' 'Long and Winding Road' details Sir Paul McCartney's meandering existence. Hoping it would invigorate the Let It Be album, it was the last single released by the Fab Four before their split later in 1970. It was a wistful end to the rollercoaster. 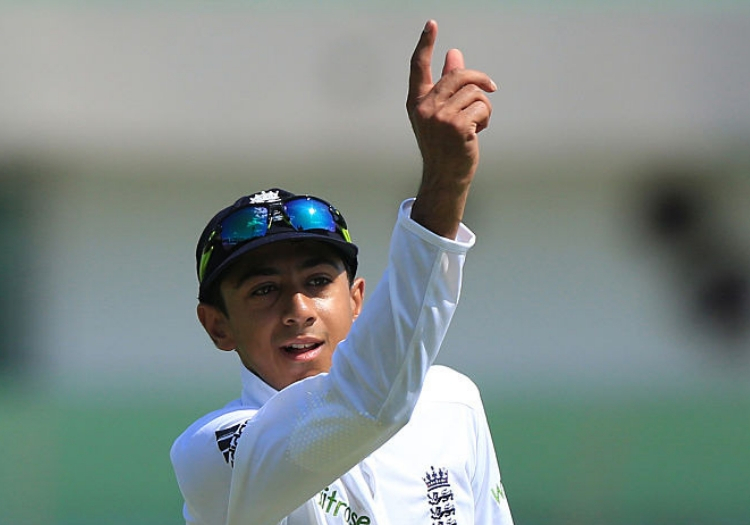 Abbey Road, the legendary studio where many of The Beatles' hits were created, sits a slog sweep away from Lord's where on a gloomy Friday Haseeb Hameed was considering his own subsistence. The 22-year-old is the would-be man of English cricket. Already pencilled in as the future of the batting order, the successor to Sir Alastair Cook. His place on honours boards across the country has already been reserved. Meanwhile, the BBC are already relishing the prospect of unveiling him as the latest Muslim to win their Sports Personality of the Year award. Such an inevitable assent has been checked in recent years. 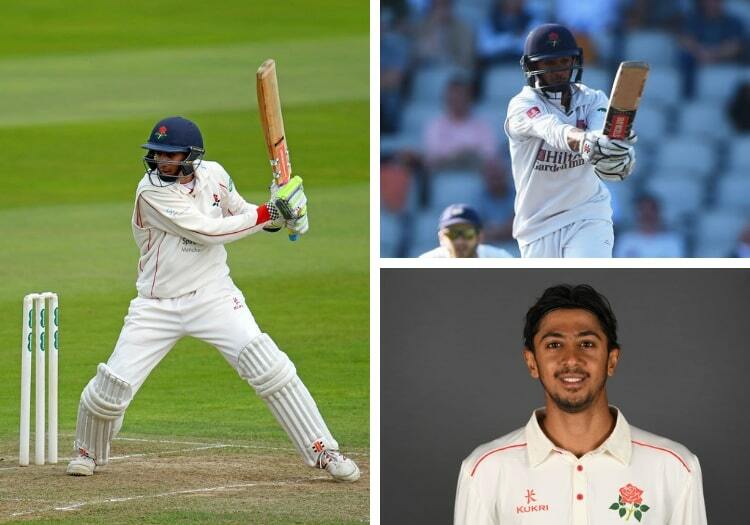 In 2016, then 19, Hameed hit 1198 championship runs to earn England recognition; surpassing Mike Atherton as the youngest Lancastrian to four figures in a single season. He would play three Tests against India that winter, scoring two half-centuries - the second of which came with a badly broken finger in Mohali. It was a remarkable display of character from one so young. The groundwork had seemingly been done and a long spell as England's newest poster boy was seemingly assured. But what has followed has been nothing short of an unmitigated disaster. Upon returning to English shores he averaged less than 29 in 2017. Last season, he mustered just 165 in 17 innings and was relegated to the Lancashire second string. Yet, every time he approaches the crease in whatever guise, the same expectation and attention is paid to his progress. Such scrutiny followed Hameed's 218 against Loughborough students last week, which amounted to nearly a third of the runs he had scored in the last two seasons. Such is the strife that England's top order is in, an international return was immediately suggested, though the substance of those runs remain in some doubt. 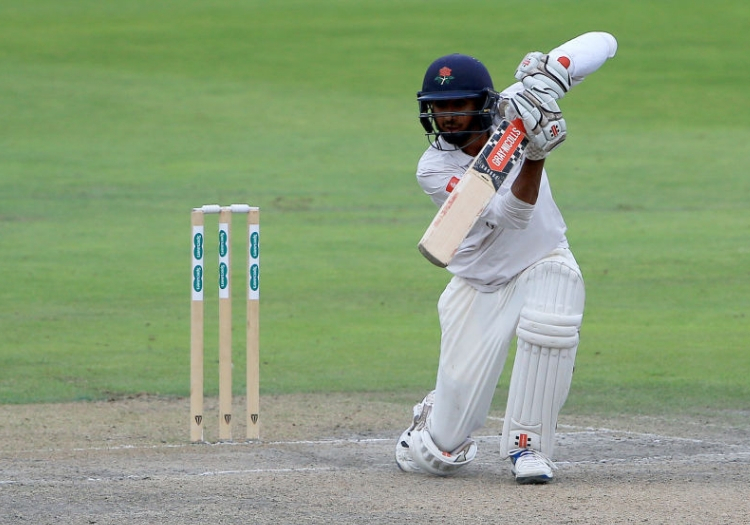 But at the home of cricket, in front of national selector Ed Smith, and against a high-class Middlesex attack Hameed finally did all the hype some justice with his first century since August 2016 - when he struck two in the Roses match against Yorkshire. Coming in alongside Keaton Jennings - Alex Davies' injury saw him promoted in the batting order - it was impossible not to draw comparisons between the two. His county teammate is in possession of the jersey Hameed so dearly wants to reclaim but is very much ready to be shot at. Though Jennings did reach his half-century, it was impossible to ignore the uncertainty he showed at the crease. Edging regularly, his runs were streaky and fortunate in equal measure and accumulated without assurance. Hameed began like a boy searching for form himself, but soon he transformed into the man who belongs. He belted boundaries both sides of the wicket, coupled with a pragmatism which might not be in vogue but is certainly required in this form. Steven Finn did give him a life in the 40s, but his consideration until that point had earned it. He went to a first fifty for 19 months with a clip into the leg side, typically the main source for many of his runs. Claims that county cricket cannot pose a worthwhile grounding for future England players were certainly not valid here. Combined with inclement overhead conditions, Tim Murtagh, Toby Roland-Jones, Finn and James Harris represented an international quality artillery - and slowed the scoring to an almost pedestrian pace. Even if Hameed's temperament needs further assessment, his durability under short bowling was certainly proven. Overlooking his total, the manner in which he dealt with being peppered at regular intervals - his protruding and troublesome fingers the obvious target - in some poor light was perhaps the stand-out characteristic of his innings. Still only 22, Hameed also kept his cool as wickets fell around him. Harris and Murtagh were able to extract Jennings, Brooke Guest and Glenn Maxwell, but not the diligent right-hander. Unsurprisingly, it was not an innings without ungainly moments. After tea he edged nervously through the slips, and then threw his bat in almost dismissive fashion at a Dawid Malan delivery which saw him take a tumble. But such idiosyncrasies were not to deny Hameed going to three figures, which he did across two balls of the 63rd over. First, he darted a full ball from Roland-Jones down the ground, before smashing a short one into the Warner Stand for a century-securing maximum from 167 balls. It was a passage of play which highlighted the talent which emanates from the youngster, and that regardless of form or touch it deserves both investment and patience. Hameed continued to show resilience even as the lights came on and the shadows lengthened. You needed only to glance at the Lord's stands, well stocked when they stood in unison after Hameed went to three figures and departed after being was caught and bowled by Malan for 117, and then at the reaction to his innings on social media, to understand why so much hope surrounds this kid. This stand is not the silver bullet as far as an England place for the Ashes is concerned. But it was a special moment for a player who knows all about what hitting rock bottom feels like.